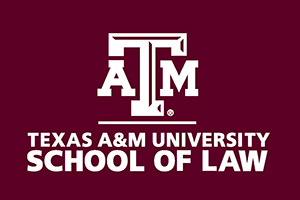 These are exciting times at Texas A&M University School of Law, which is leading Fearlessly on every Front! Since the university acquired a law school in August of 2013, the law school has embarked on a program of investment that increased its entering class credentials and financial aid budgets, while shrinking the class size; hired twenty new faculty members, including thirteen prominent lateral hires; improved its physical facility; and substantially increased its career services, admissions, and student services staff. And now, we are again hiring additional faculty. 2) Candidates with an oil and gas law and/or energy law background, either domestic U.S. or international, who are interested in interdisciplinary research, teaching, and programmatic activities. 3) Candidates with strong classroom skills and scholarly achievement interested in teaching in our exceptional Legal Analysis, Research, and Writing Program. While the law school is primarily interested in entry-level candidates for the above positions, more experienced candidates may be considered to the extent that their qualifications respond to the law school’s needs and interests. Texas A&M University is a tier one research institution and American Association of Universities member. The university consists of 16 colleges and schools that collectively rank among the top 20 higher education institutions nationwide in terms of research and development expenditures. Texas A&M School of Law is located in the heart of downtown Fort Worth, one of the largest and fastest growing cities in the country. The Fort Worth/Dallas area, with a total population in excess of six million people, offers a low cost of living, a strong economy, and access to world-class museums, restaurants, entertainment, and outdoor activities. As an Equal Opportunity Employer, Texas A&M welcomes applications from a broad spectrum of qualified individuals who will enhance the rich diversity of the university’s academic community. Applicants should email a résumé and cover letter indicating research and teaching interests to Professor Gabriel Eckstein, Chair of the Faculty Appointments Committee, at appointments@law.tamu.edu. Alternatively, résumés can be mailed to Professor Eckstein at Texas A&M University School of Law, 1515 Commerce Street, Fort Worth, Texas 76102-6509. This entry was posted on September 23, 2016 at 06:01	and is filed under Uncategorized. You can follow any responses to this entry through the RSS 2.0 feed. You can leave a response, or trackback from your own site.